Detective Lindsay Boxer has everything she could possibly want. Her marriage and baby daughter are perfect, and life in Homicide in the San Francisco Police Department is going well. But all that could change in an instant. Lindsay is called to a crime scene at the Four Seasons Hotel. There is a dead man in one of the rooms, shot at close range. The man checked in under a false name with no ID on him, so the first puzzle will be finding out who he is. In the room next door are a dead young man and woman, also shot. They are surrounded by high-tech surveillance equipment. Could they have been spying on the man now dead in the room next to them? And in the utilities cupboard down the hall is the dead body of a house maid. The murders are all clearly linked and professionally executed. But what is the motive behind it all? Lindsay will need to risk everything she has to find out. So, of course I was super excited when this book showed up at my door, because…. Well…. Lindsay Boxer is the best. 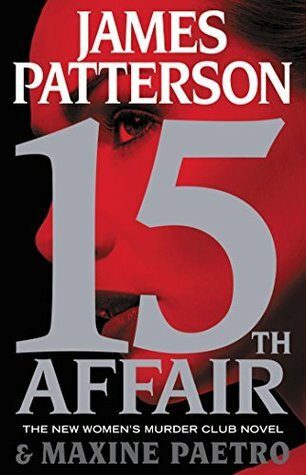 So once I got to read the book and realized that it was also another great installment in the Women’s Murder Club series, I was a very happy reader. Lindsay has had to deal with a lot of stuff in the past, but nothing quite like this. Being followed around by highly dangerous men makes every move she makes a risk. She has to constantly be aware of her surroundings and be ready to fight at any moment. That, coupled with her distant husband, Lindsay has a hell of a time solving this case. I feel like as this series goes on, we see less and less of the Women’s Murder Club actually being together and interacting. I miss when there were more interactions between them because the characters have such great book chemistry together. I also liked that this book made Joe seem shady. I have never liked him. I am sure things will be back to normal for them in the next book, but I hope not. Overall, it was still a thrilling ride, and I never really guessed the twists until they were revealed.